A new community of homes for Stanford faculty, being developed to attract and retain faculty in the midst of a challenging housing market, will result in 180 housing units for purchase at below-market prices through the use of restricted ground leases. 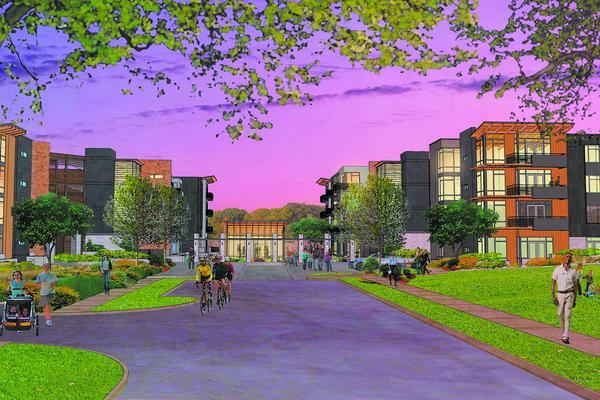 The 17-acre development will include 68 single-family homes and two four-story multifamily condominium buildings surrounding a central park and community center. The first set of homes is expected to be available in 2017. The project is currently in approval stages and is slated to start construction by the end of 2014. Beyond Efficiency was invited to be part of an exclusive "Green Team" to advise on green building and energy efficiency best practices. Our role has centered on building envelope optimization and detailing along with energy optimization studies. We are also facilitating the energy-efficiency incentives applications through the City of Palo Alto Utilities rebate programs, expected to return more than $200,000 for the single-family houses alone.